As a global society, if we are to get the most out of the potential blockchain can bring, we need guidance on its applications and desired outcomes for how we want this technology to support our society. Arguably the most infamous cryptocurrency, Bitcoin can be linked to the dark web and illegal transactions such as money laundering, human trafficking, and indecent image transfer. Unsurprisingly, both cryptocurrencies, and the technology it is founded upon blockchain, have been tarnished with the same negative connotations in the mainstream consciousness. While it would be wrong to try and sweep the dark side of cryptocurrency under the carpet, it is important to note that blockchain technology is not synonymous with cryptocurrency. There is still a lot of confusion around the fundamentals of blockchain technology which has led to this misconception which needs to be dispelled. Blockchain technology has the potential to enable significant improvements and efficiencies to society through a wide variety of solutions. At its basic technical level, blockchain is a distributed, cryptographically-enabled database that provides a particular set of characteristics; network and user modularity, a peer-to-peer infrastructure, and uniqueness of digital identity. These features enable networks to have built-in transparency, accountability, and audibility, providing the simple solutions needed for the wide variety of issues faced by individuals, SMEs, governments, and larger corporates. It is undeniable that our society is now primarily a digital one; we socialise, work and transact online for the most part. However, as a species, we have spent centuries building an infrastructure that protects our assets in a physical world. As our society becomes increasingly more digital, we now need to develop the infrastructure that will protect our assets in a digital world. Blockchain technology is the backbone of this infrastructure. Once an individual buys a physical asset such as a diamond or sports car, that transaction can be logged on a blockchain, giving a clear and secure record of who has true ownership. As such, theft becomes significantly more difficult to profit from, as it can be easily traced on the blockchain who the true owner is and thereby that the item has been stolen. The last few months have highlighted just how important our personal data is, especially when it harvested by companies without our conscious knowledge or green light. Further, the increasing number of cyber attacks on corporate systems over the past few years highlights the danger of both individuals and companies being careless with personal data – Deloitte, Adobe Systems, AOL, Apple, Yahoo, Equifax, and AT&T to name but a few. Taking back control of our data is a necessity and blockchain technology provides a way we can do so. 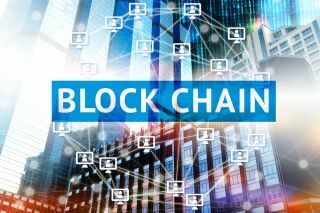 Using a blockchain, individuals can set a time limit on how long companies can access their data during processes such as recruitment rather than letting the company hoard their data on their systems indefinitely. This has numerous benefits, the first being that companies no longer run the risk of losing personal data of customers or potential new recruits to hacks, helping them remain compliant with data regulations. Secondly, individuals have better visibility on who has access to their data and regain control over their own data. A key example of how blockchain will bring significant benefit to specific industries can be found in the pharmaceutical sector. In the UK, over one million people die each year due to counterfeit drugs entering the supply chain via illicit means. Not only a catastrophe in terms of loss of life, the problem costs the sector millions of pounds each year. Through harnessing blockchain technology, each stage of the manufacturing supply chain can be recorded immutably, ensuring that counterfeit drugs can be uncovered at each stage of the process. Blockchain technology brings increased data security and accountability for drug protection in the industry, helping to work towards eradicating counterfeit drugs and saving lives. One of the main misconceptions that fuels the misbelief that blockchain is synonymous with cryptocurrencies is that a blockchain is 100 per cent decentralised, autonomous and open to all. In turn, this stokes the belief that it is not possible for a blockchain to be secure, reliable nor responsible – fundamental principles required for using a technology in business. However, the reality is that blockchain is not dictated by the restrictions of the existing and most well-known Bitcoin or Ethereum networks. While these networks are fully pseudonymous, public and decentralised, the blockchain technology can be fully customised to create a blockchain with bespoke features and rules tailored to a variety of services and requirements. The charge that blockchain is not secure is based on historical public breaches of some types of blockchain. In 2016, a ‘recursive call’ bug in a blockchain was exploited, allowing the hacker to drain the Decentralised Autonomous Organisation (DAO) of $3.6 million in Ether, approximately equivalent to $45 million at the time, collected from the sale of its tokens. The primary issue in this scenario was not a failure in the code, rather poor implementation by its developers. If a house is poorly architected and built, upon collapse the blame should lie with the builder, not the materials. Due to the in-built cryptography, blockchains benefit from significantly more security than most available technologies, and these examples of experimental unregulated implementations should not be used as an excuse to halt progress on exploring and benefiting from the technology. In much the same way as the internet was created and exists today, the development of blockchain will result in an interconnected network of multiple blockchains. There does need to be caution from regulators and governing bodies, however this must not shut down creativity and prevent us from reaping the benefits blockchain will bring. We need regulation to target education to accelerate progress, so everyone can benefit. As a global society, if we are to get the most out of the potential blockchain can bring, we need guidance on its applications and desired outcomes for how we want this technology to support our society. The UK has global leading foundations currently taking advantage of these, and it would be a major loss to not put a stake in the ground and embrace the opportunity presented by blockchain.